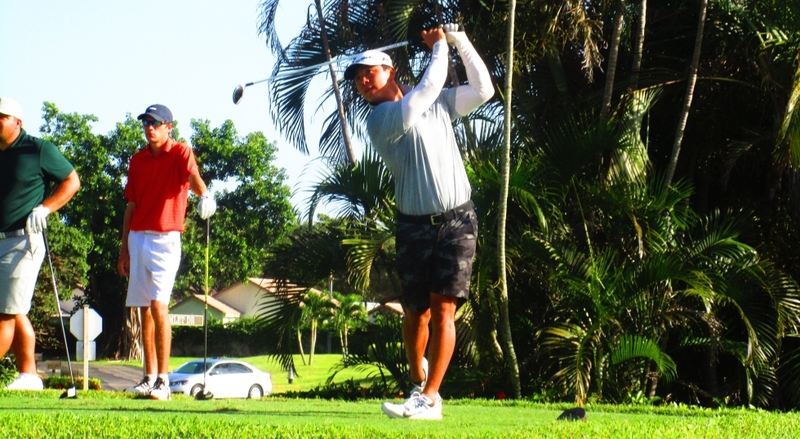 Sunny Kim fires 68 at The Seagate Country Club to earn his 3rd win in a row!!! 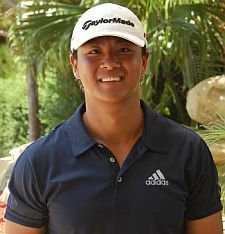 DELRAY BEACH, Fla. – Sunny Kim of Queens, NY and Palm Beach Gardens, FL, won his third straight tournament on the Minor League Golf Tour with a four under par 68 Wednesday at The Seagate Country Club. 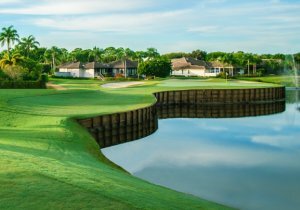 The victory follows similar results Monday, a 69 at Eagle Trace GC, and Tuesday, 67 at Jupiter CC. Kim will go for his personal career record of four in a row achieved in September, 2012, in a 36-hole event Monday and Tuesday on the West course at Fountains CC in Lake Worth. The career record of five consecutive victories is held by Jimmy Jones of Philadelphia, set late in 2004, the MLGT’s first season. At Seagate, Kim received $600 from the $2,340 purse plus an additional $68.58 in the skins game. This raised his total for the week to $1,894.58 and his career earnings to $223,855 since he joined the MLGT in October, 2006. He made 7 birdies and 3 bogeys. His totals for the week: an eagle, 17 birdies and 7 bogeys. For posting the low 54-hole score this week of 12 under par 204, Kim received a set of BamBoom Whistle Sticks, a training aid from www.playbetterdistributors.com, valued at $210. A big thank you to them for sponsoring this weeks contest. Enter code MLGT10 on their site to save 10% on your order. 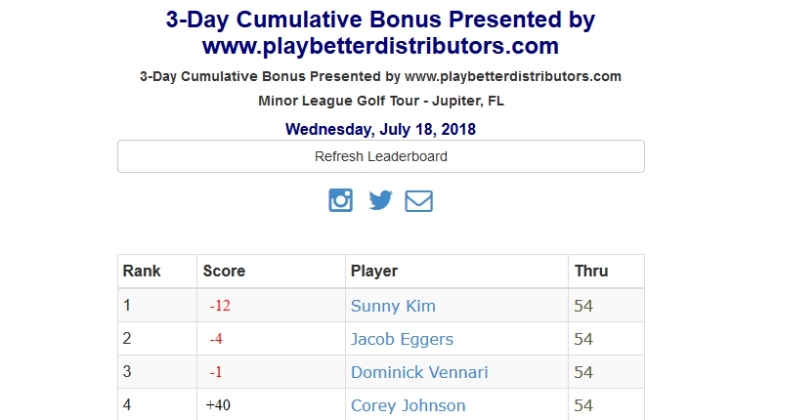 68 - Sunny Kim - $600 *Three wins in a row! 68 Sunny Kim 1 $600.00 $68.58 $0.00 $668.58 Queens, NY *Three wins in a row!